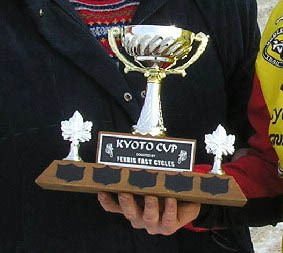 Due to the projected warm spell (+7) the Blizzard Club will have a race for the 'Kyoto Cup', this Sunday! Race Time: Sunday at 2 pm at the Baldonnel School. Course: The 16 km paved circuit Road Race style! Past winner: Bob Andrews is the past Champion, last won in 2007.